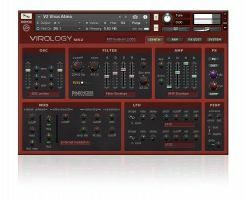 PinkNoise Studio has released Virology 2 Kontakt Edition, a Kontakt sound library based on the sounds of the Access Virus C synthesizer. New re-scaled faders for a natural feeling. More than 100 custom made knobs, faders and switches to control the most important parameters of the synth. Customizable global MIDI implementation for 24 controllers. Host automation for 24 controllers. 30 types of filter in 3 real-time switchable filter slots. 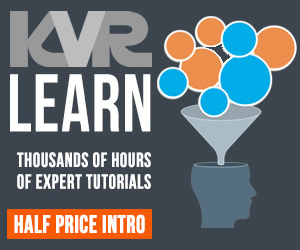 Fully editable effects: equalizer, 2 types of distortion, delay, 2 types of reverb, comp. 2 independent LFOs (waveforms: sine, triangle, square, saw, random) with tempo sync option, allowing modulation for 4 destinations: pitch, filter, volume and pan. 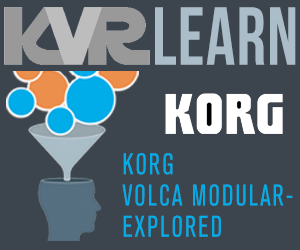 Extensive modulation options for external sources: velocity, mod-wheel, channel aftertouch, random. Template load/save option for sound design. 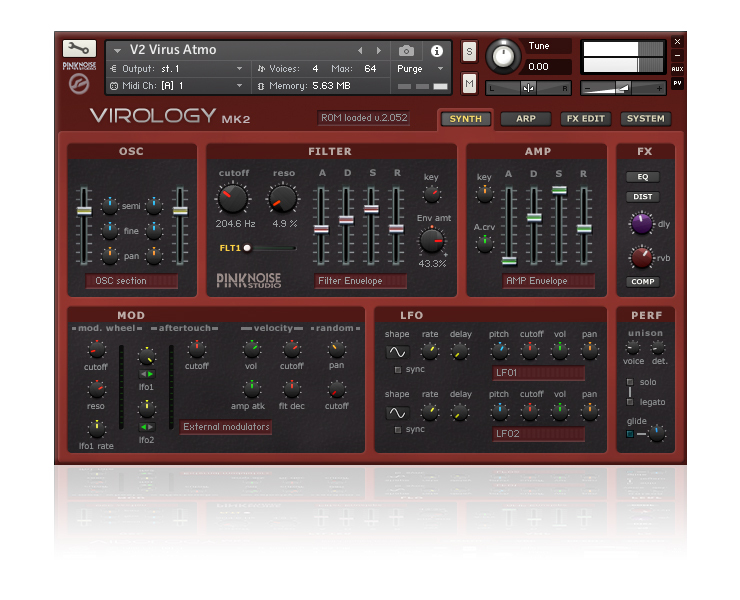 Virology 2 requires the full version of Kontakt 5.51 or newer version. Price: €29 (€9 upgrade option from previous version).